Zondervan has blessed us with a truly special product. 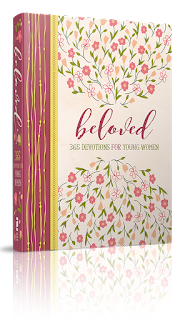 The Beloved: 365 Devotions for Young Women is beautifully designed, and feature daily devotionals for a special young lady in your life. There is a relevant devotional lesson for every day of the year featuring a woman from the Bible. With ample journalist space, young ladies can write down their own thoughts about the day's lessons. My thoughts: This book is simply beautiful. I know you're not supposed to judge a book by it's cover, but you can this one! It's lovely! Each page is beautifully designed with a devotional that includes a verse or two from the Bible, with a short reading passage that encompasses the overall lesson for the day. Each page features lines for the reader to use to fill in with notes, their own thoughts, actions, or ideas brought on by the reading. I love that the book is designed with Day 1, Day 2, etc. instead of calendar days. this makes it perfect for gift giving any time of the year, but especially with Christmas just a few weeks away. My idea with this lovely book is to share it with some young female family members who could definitely use this in their lives right now. Even though this is meant for one young lady to use, I think these girls can study it together to help each other along the way. They've been through a lot in the last few years, more than any child really should have to go through, and I know this will be a bright spot in their lives. The readings are short, and only take a few minutes each day. the language used is written on a teen level, and I noted words like "Yikes" and "cool" used frequently. Passages are based on the NIV version of the Bible, and that is my only downfall to this amazing devotional. I wish it was KJV based. I can see this opening up a lot of discussion and dialogue, especially in terms of how the lessons can be applied to every day life. With journaling being all the rage right now, the ample journal space will be put to good use, I'm sure! Even though this is intended for young ladies ages 13-18, as an adult I have found this to be beneficial while reading through it for purposes of this review. Lessons from the Bible apply to all of us, regardless of age. I was especially touched by studying Hagar and Sarah. Of course I have heard their story many times, but I really had never delved much into it, nor looked at it from the various points of view this devotional brings up. I never really thought about why Hagar ran from her mistress, I just knew she did. Another lesson that really struck a chord with me is on Day 37, look to your future instead of turning to the past. I'm pretty bad to look to the past more often, and I realize that is a habit I need to change. Overall, I would highly recommend this to others who have young women in their lives. This is a really great, easy to work through devotional that is intended for ages 13-18, but can really work for others ages, too! 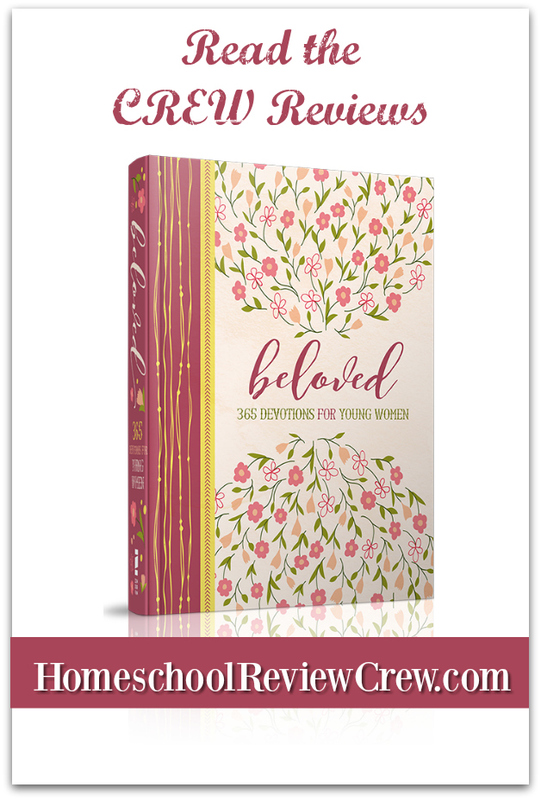 Several others from the Homeschool Review Crew also reviewed this lovely devotional for young woman. Please click the banner below to read their reviews!